The classic cover of The Beatles’ album “Abbey Road” received a tasty makeover in this new, edible rendition created completely out of breakfast foods. 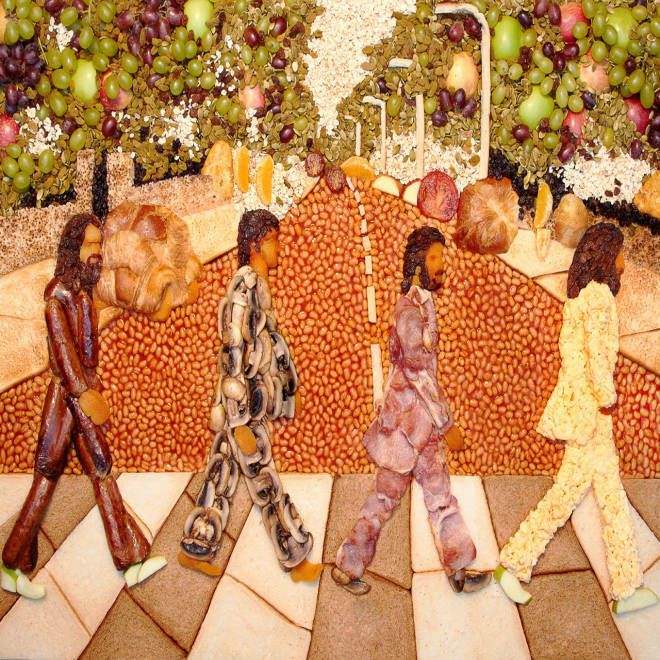 The Beatles stroll across Abbey Road in a version of the famed album cover created with breakfast foods. Food sculptor Paul Baker was commissioned by the Beefeater Grill UK restaurant chain to recreate the iconic photo with cuisine from the eatery’s menu. 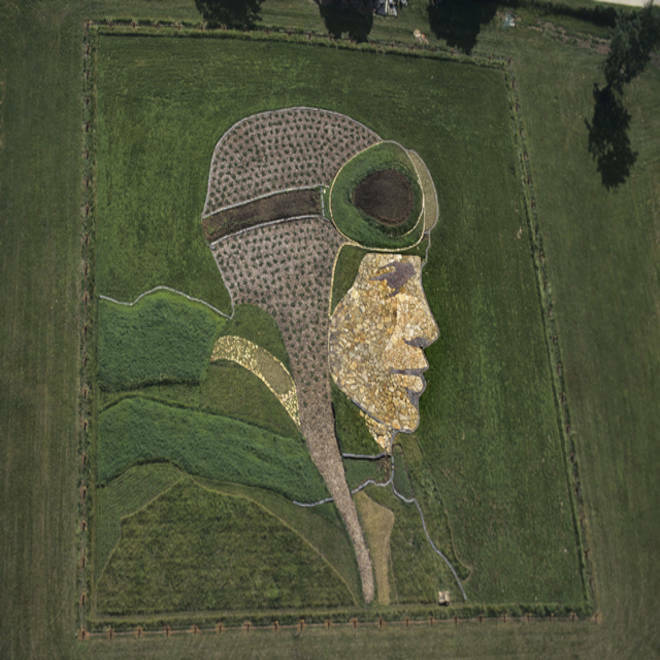 The resulting art is made with sausage, bacon, scrambled eggs, tomatoes, croissants, crumpets, hash browns, toast, fresh and dried fruit, and, of course, cereal. In addition to promoting the restaurant, the appetizing canvas also serves to honor the 50th anniversary of the first time The Beatles recorded at Abbey Road Studios. According to UK newspaper The Sun, it took a total of four days and three assistants for Baker to put the piece together, and he paid such close attention to detail that he even took into consideration Paul McCartney’s strict vegetarian diet. From the looks of things, the rest of the guys were built with heartier proteins: John Lennon out of eggs, Ringo Starr with bacon and George Harrison with sausages. The artwork, dubbed “Let it Bean,” is not the first food-concocted painting Baker’s made. His other works of art include Prince William and Kate Middleton kissing on the Buckingham Palace balcony; Winston Churchill holding up the peace sign; and the Queen’s coronation in 1953. What do you think of the food-focused cover? Tell us on Facebook.